There are plenty of things to do in St Augustine during Thanksgiving Weekend! During this holiday season, the city’s Night’s of Light’s Celebration is in full swing and the events are also plentiful during the daylight. This year is no exception! If you are looking for things to do in St Augustine, look no further. We have you covered! Celebrating 52 years as a Thanksgiving tradition in the nation’s oldest city, the Annual Arts and Crafts Festival sets up again this weekend in Francis Field. This is just walking distance of the inn along with most of the other events and attractions happening in the historic area. This premier outdoor art fair attracts visitors and residents alike, ranging from knowledgeable art collectors to holiday shoppers looking for something unique. With over 150 artists displaying their work, it’s easy to find the perfect gift. It has been known as one of the top things to do in St Augustine during this popular weekend! 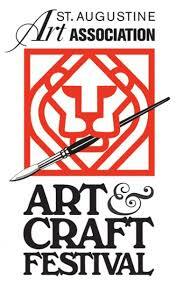 The Art & Craft Festival features painting, pottery, jewelry, glassware, sculptures, fiber art, photography, mixed media, fine hand-crafted creations, and more. All proceeds from the event are donated to the St. Augustine Art Association, founded in 1924 to support the local arts scene and enhance recognition of St. Augustine as a robust destination for anyone interested in the arts. Admission is just a $2 donation at the gate. The fun takes place inside Francis Field, which is located at 29 W. Castillo Dr., adjacent to the City Parking Facility. The hours are Saturday, November 25, 2017, from 10 a.m. to 5 p.m. and Sunday, November 26, 2017, from 10 a.m. to 4:30 p.m. The St. Augustine Art Association has been hosting the St. Augustine Art & Craft Festival and other things to do in St Augustine for decades! Located at Francis Field next to the Visitor’s Center in the Uptown Arts District, this premier outdoor art fair is a Thanksgiving tradition that attracts thousands of visitors, discerning art collectors and savvy holiday shoppers. The event helps support the Art Association programs, while animating the local arts scene and boosting the economy of the nation’s oldest city. 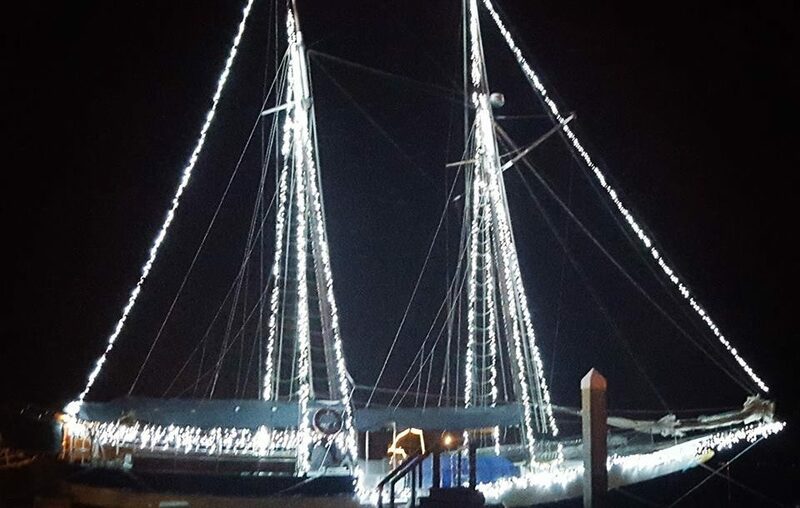 What better way to experience St Augustine Nights of Lights than aboard the Schooner Freedom! Join them for a 1 1/4 hour Moonlight Sail and enjoy the sound of the wind, waves, and live music encompassing you while the playful light of the moon enhances the historic city scape. Bring along a picnic basket of hor d’ouvres or desserts and make it a night to remember! Live music provided Friday evening by local musician Christian Powers. Saturday live music provided by Stephen Fredericks on the cello. The sail departs at 6:45 p.m. for 1 1/4 hours.